Area18 is a vibrant, independent recording and production studio in North West London. 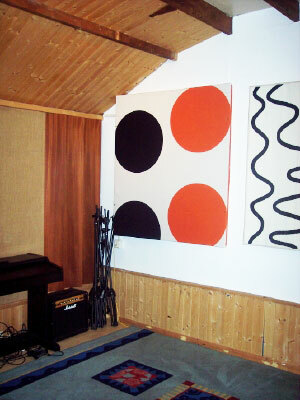 Estabished at the end of 2005, it is primarily the working environment of engineer/producer Richard Bignell. Fellow engineer/producers Simon Willey and Tim Roe also base many of their projects at the studio. In the last five years Area18 has gained a deserved reputation, not only as a great tracking studio for up-and-coming bands, but also for producing top quality final mixes. 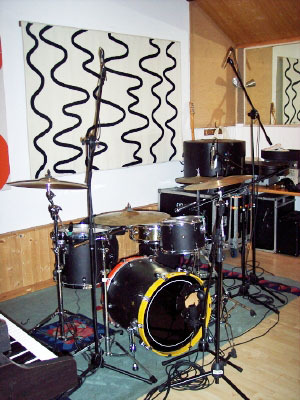 Over 15 albums and numerous EPs and singles have been recorded, mixed and produced at the studio, with final mastering also an option. If you are looking for an affordable studio in north or west London, with friendly, proficient and experienced engineers, then look no further. For band recordings, Area18 has a 180 sq ft live room and separate control room. It’s great for tracking drums and amped guitars and big enough to accommodate a band playing together live. The studio has a good selection of microphones, recording to Logic or Pro Tools via Audient and Focusrite pre-amps. Area18 is ideal for programming, and vocal recording, with a huge sample library, plenty of software synths and some analogue gear too. At the mixing stage, there is a formidable armoury of plug-ins and crystal clear monitoring via Genelec speakers. Area18 is situated in London's Park Royal district, close to the A40 and Central and Bakerloo Line tube stations (North Acton/Harlesden). There is parking on site and in the surrounding streets for which there is no charge.